Dec 04 2018 BMW E-SERIES AND MINI IN OBD! We are today introducing a highly anticipated software update: with K-Suite 3.23 you’ll be able to work via OBD on the diesel ECUs of the BMW E-Series and Mini R-Series! From now on, to read and write these vehicles, you won’t need to open the ECU anymore: KESSv2 and standard cable are the only tools you’ll need! All the ECUs Bosch EDC17C06, EDC17C41, EDC17C50, EDC17CP02, EDC17CP09 and EDC17CP45 are now supported in OBD by Alientech thanks to the new update of the software K-Suite 3.23. If you already own a KESSv2, you won’t need to buy anything! You just have to connect your tool, read the ID of the ECU and, thanks to the OBD Virtual Reading mode*, in a few seconds you’ll have at your disposal the related Original File. The Virtual Reading feature has never been so effective! 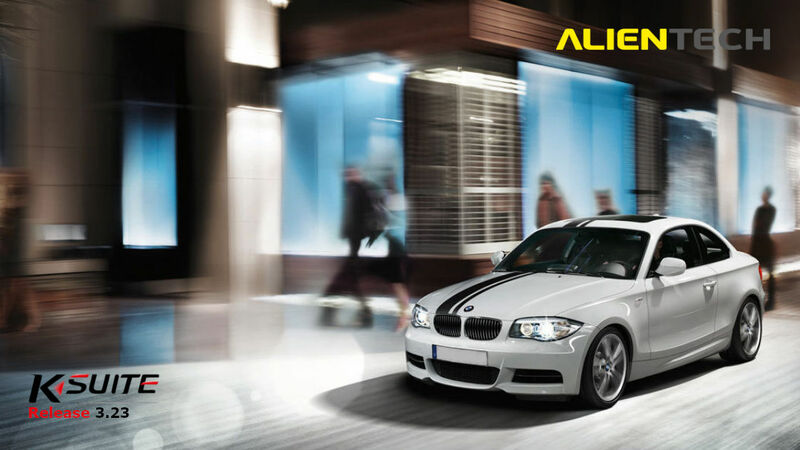 Alientech currently has 1929 Original Files exclusively dedicated to the BMW E-Series and Mini R-series. *Virtual Reading function is included in KESSv2 Master and KESSv2 Slave subscription. The functioning is limited to the file availability in our Data Bank.